아비손 박사는 한국 근대의약 및 의학 교육의 창시자이다. 비록 영국에서 태어났지만 그가 어렸을 때 캐나다로 이민을 갔다. 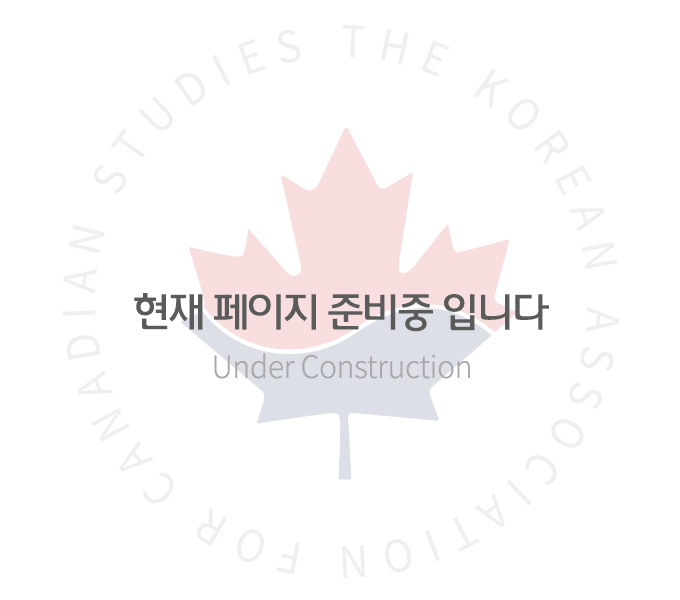 그는 1890년 토론토 의과대학 (Univerasity of Toronto Medical School)을 졸업하고 약학대학 (College of Pharmacy)에서 강의를 했다. 그가 한국과 인연을 맺게 된 것은 한국에 온 미국인 언더우드 (H. G. Undersood)씨를 만나고부터이다. 언더우드씨는 아비손박사의 능력에 감동하여 당시 한국에 파견할 의사를 찾고 있던 뉴욕의 장로교 선교회 (Presbyterian Church Missions Board)에 그의 이름을 추천하였다. 아비손 박사는 이를 승낙하고 1893년 7월 임신한 부인 및 세 자녀와 함께 부산에 도착하였다. 아비손 박사 가족이 서울에 도착한 이후 그는 곧바로 정부병원의 관리자가 되었다. 그 외에도 아비손 박사는 고종황제의 전문의중 하나였다. 그러나 정부병원은 작아서 서울사람의 수요에 부응할 수 없었다. 1892년에 만연된 콜레라로 인하여, 아비손 박사는 더 크고 근대화된 병원설립을 계획하였다. 그는 많은 의사가 있는 큰 병원이 여러개의 작은 병원보다 한국을 위해 더 필요하다고 확신하였다. 미국에서 휴가를 보내는 동안에 아비손 박사는 Mr. Louis Severance를 만나게 되었다. 세브란스씨는 새로운 병원을 건립하기 위한 기금으로 $10,000를 기꺼이 내놓았다. 이 돈으로 아비손 박사는 한국에 돌아오자마자 남대문 전철역 바로 건너편에 토지를 구입하였다. 1902년에 병원건물을 짓기 시작하여 1904년 9월 23일에 개원하였다. 개원 후 아비손 박사는 외국선교사 의사들이 병원을 영구히 도와줄 수 없다는 것을 알았다. 대안으로 한국학생들에게 의학공부를 시켜 이들이 병원을 운영하도록 하자는 계획으로 아비손 박사는 스스로 의학 서적 번역하여 젊은 학생들을 훈련시키기 시작하였다. 1908년 여러 해에 걸친 각고 끝에 7명이 맨처음으로 서양의술을 배운 한국의사가 되었다.이들은 Severance Medical College를 첫 번째로 졸업하였으며, 계속 한국 의사를 배출하기 위해서 아비손 박사와 같이 지냈다. 1915년 조선 기독교 전문학교(연희전문학교)가 언더우드 박사에 의해서 시작되었으며 이것이 한국에서 고등학교 이후의 교육을 시키게 된 최초의 공인 대학이었다. 불행하게도 이듬해에 언더우드 박사가 돌아가시자 아비손 박사가 새 학장이 되었다. 1916년 부터 1934년 이르기까지 아비손 박사는 연희전문학교 및 세브런스의과전문학교의 학장을 지냈다. 1935년에 퇴직한 후 교직원과 학생들을 아비손 박사의 금자탑 같은 봉사, 의사로서 한국인에 대한 현신, 미래를 내다보는 지도자, 한국인에 대한 친구의 감사표시로 동상을 세웠다. 비록 이동상은 일본인에 의해서 제거되었지만 그 후 또 다른 것이 연세대학교 (연희 및 세브란스 전문대학의 통합)의 간호전문대학에 세워졌다. 아비손 박사는 1935년에 한국을 떠나 아내와 함께 플로리다의 St. Petersburg 에 정착했으며, 1956년 세상을 떠났다. Dr. Avison is the founder of modern medicine and medical education in Korea. Although he was born in England, he immigrated to Canada when he was a child. He graduated from the Medical School of the University of Toronto in 1890 and taught students at the College of Pharmacy. It was only after meeting an American, Mr. H.G. Underwood, who had been to Korea, that he got to have a relationship with Korea. Inspired by Dr. Avison's ability, Mr. Underwood recommended him to the New York Presbyterian Church Mission Board, which was then seeking to send him to Korea. Dr. Avison accepted this and arrived in Busan in July 1893 with his pregnant wife and three children. After Dr. Avison's family arrived in Seoul, he immediately became the director of the government hospital. He was also one of Emperor Gojong's specialists. At that time, the government hospital was too small to meet the needs of Seoulites. Due to the cholera epidemic in 1892, Dr. Avison planned a larger and more modern hospital. He was convinced that a large hospital with many doctors was more needed for Korea than several small hospitals. While vacationing in the United States, Dr. Avison met Mr. Louis Severance. Mr. Severance was willing to donate $10,000 to build a new hospital. Dr. Avison bought the land right across from Namdaemun subway station with this money as soon as he returned to Korea. The new hospital began to be built in 1902 and opened on September 23, 1904. After its opening, Dr. Avison knew that foreign missionaries could not help the hospital permanently. As an alternative, Dr. Avison began to translate medical books into Korean by himself and trained young students with the plan of training them and doing medical practice in mind. After years of hard work, seven people became the first medical doctors who first learned Western medicine in 1908. They graduated from Severance Medical College for the first time, and continued to work with Dr. Avison to produce Korean medical doctors. In 1915, Choseon Christian College (Yonhee College) was established by Dr. Underwood. It was the first authorized university which was in charge of post-secondary education in Korea. In the following year after Dr. Underwood died, he became the new dean. 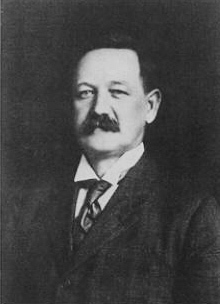 Dr Avison was the dean of Yonhee College and Severance Medical College From 1916 to 1934. After his retirement in 1935, professors, staff and students of this college set up a bronze statue of Dr. Avison as a token of gratitude of Koreans to his monumental achievements as a doctor and a leader looking forward to the future. Although this statue was removed by the Japanese, another one was erected at the College of Nursing, Yonsei University (Yonhee and Severance College). Dr. Avison left Korea in 1935 and settled at St. Petersburg in Florida with his wife, and passed away in 1956.